"The God of Israel" ~ is a God who reveals himself to man. We can be thankful for this fact. Were it not so, we would all be hard pressed to find him. Many theologians feel that God has revealed himself in two distinct manners. Let us briefly look at these two manners of revelation. The New Testament also makes mention of this in a similar fashion in Romans 1:20 where it is said: "For since the creation of the world God’s invisible qualities - His eternal power and divine nature - have been clearly seen, being understood from what has been made, so that men are without excuse." It is amazing to think that after all Satan has done to destroy the creation around us, the world still declares God’s glory! Have you ever wondered why it is so refreshing to be out in the woods or beside the lake? The answer is simple. Everything in nature is doing exactly what God the Father has commanded. The birds are building nests and migrating just as they were instructed. All nature is straining to bring forth fruit and to accomplish its other God-given functions. When we consider man, we begin to realize the true dimensions of the fall recorded in Genesis chapter three. We find that man, unlike the animals, the birds, and all the rest of the created order, is not responding according to the divine program. Man is in fact, "doing his own thing." What if the birds or animals chose such a course? What if the birds simply said, "This year we refuse to fly those thousands of kilometres in order to migrate." The answer would be obvious; they would simply freeze to death in the north-country, or perish for a lack of food. God’s SPECIAL Revelation ~~~ How would God be able to communicate with man? Could he accomplish this by revealing himself in the creation alone? No, God has gone further, to reveal himself in history and this is called Special Revelation. A big part of this Special Revelation is God’s revelation of himself in the historical process. God has revealed himself as the Lord of history. No other "god" has done such a thing and we may ask, did Baal or other false "gods" in the Bible reveal themselves in history, or work in history? No, we can now positively say that history worked on Baal and the other false "gods". It simply placed their images in garbage heaps and covered them with dust and ashes and so it is with all the other "gods" of today. How different is the God of Israel ~~~ A God who actually talks to men; He talked to Adam, Enoch, and Noah. He is a God who talks! All through history He has spoken to people; to kings and to nations. He talked to Pharaoh through Moses and Aaron; and He talked to Nebuchadnezzar, Cyrus and Darius. It is said in Proverbs 21:1; "the king’s heart is in the hand of the Lord; He directs it like a watercourse wherever He pleases." So it was God’s eternal and unchanging plan to reveal Himself to and through Israel. God’s plan revolves around Israel, even to this day. His plan will always focus on Israel. As Christians, we are grafted into the house of Israel and into this ancient and timeless plan of God (Romans 11:17). God is all-knowing. He knows the end from the beginning (Isaiah 46:9-10). He certainly does not make mistakes in his choices. Did we ever wonder why Israel has so much trouble? It is because God is working out his revelation and salvation through that nation even to this present moment. That revelation and salvation will ultimately benefit all nations. The enemy of God knows this and thus continues his age-old campaign to destroy Israel. The Bible is a record of this great revelation given through history and through Israel. It is primarily through the diligent efforts of the Jewish people that this precious book has come down to us. In every generation the devil has tried to destroy and obliterate it. 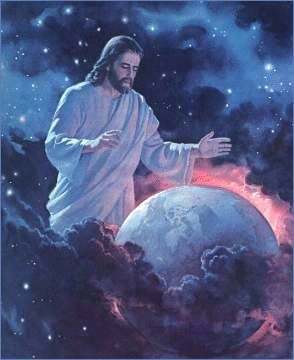 God's revelation through his Son ~~~ Yes, God has revealed Himself in creation, in history, in Israel, and in the Bible. As Christians we believe that God has revealed Himself in yet another way - in his Son, Yeshua (Jesus). We believe that the Son’s mysterious presence was manifested on many occasions in the Bible. We believe that He probably appeared to Abraham in a human or angelic form (Genesis 18:16 - 22); He may have appeared to Joshua as "commander of the army of the LORD" (Joshua 5:14); He no doubt appeared to Manoah as the one whose name was called "wonderful" (Judges 13:18). We believe that David spoke of Him when he made the strange statement recorded in Psalm 110:1, "The Lord says to my Lord: ‘Sit at my right hand until I make your enemies a footstool for your feet.’" He is the last and final word, the Living Word, spoken by the God who reveals Himself to man. As Christians, we believe that this mystery, so intriguing and so baffling to the mind of man could only have its origins in the mind of the Creator Himself. 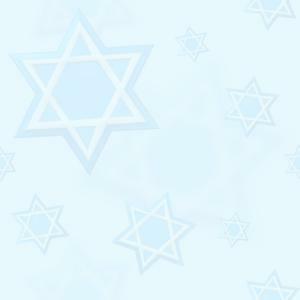 The hope for Israel ~~~ The calling of the Jews is one of the great turning points in history. Looking at the history of the Jewish people, it would be easy to believe that God is finished with the people that he once called his own. However, although the Bible teaches that the Jews are under God’s judgement for their rejection of the Messiah, it also teaches that they will be restored to a place of blessing. This will happen when they acknowledge that Yeshua (Jesus) is Lord and Saviour, the Messiah whom they have been seeking. The Jews will then come to faith in Christ. Because God chose Israel, he will not reject them completely, even though they have rejected him. They will have a time of punishment, but when that comes to an end, they will be restored to a place of blessing. God cannot forget the promises He has made in His covenant! The covenant actually warned that a time would come when the nation of Israel would turn away from the Lord and be destroyed. The scattering and exile of Israel is actually a fulfilment of the covenant; it has not been broken. The same covenant also promises that a time will come when they will be restored to the land (Deuteronomy 4:25 - 30). The restoration of Israel is part of God's plan today! After warning that the house of Israel will be left desolate, Yeshua (Jesus) said, "for I tell you, you will not see me again until you say, ‘Blessed is he who comes in the name of the Lord.’" (Matthew 23:39). The New Covenant (Testament) is not really new, but is a fulfilment of the Old Covenant (Testament) through the death and resurrection of Yeshua (Jesus). The Jewish nation will experience terrible tribulation (a time of Jacob’s Trouble), but there is still hope for the future. Yeshua (Jesus) was looking forward to the time when the Jews would be restored to their place of blessing as part of the New Israel. Even as He warned of judgement and tribulation, Yeshua gave a message of hope. Israel will be restored as a nation. God’s promise to Israel is most clearly stated in Romans 11. Paul says that although the Jews have stumbled, they did not fall beyond recovery (v.11). He promises that the time will come when Israel is reconciled to the Lord and grafted back into his olive tree. So the Lord promises that all Israel will be saved (v. 26). During Old Testament history Israel drifted in and out of the place of blessing. And, during the times of Moses, David and Josiah, Israel moved into the place of blessing. At other times, they moved into disobedience and the curse. God has always dealt with Israel as a nation. Israel was brought out of Egypt and established in the Promised Land as a whole nation. In the ups and downs of their later history God treated them as one, so the whole nation shared in both blessings and curse. Today, the restored nation is still being trampled by the Gentiles. However, God has not forgotten Israel. The time will come when Israel will be restored into the fullness of the blessing. This is what Paul meant by being grafted back into the olive tree (Romans 11:22-24). The church and Israel will become one, in Yeshua (Jesus). And I will pour out on the house of David and the inhabitants of Jerusalem a spirit of grace and supplication. They will look on me, the one they have pierced, and they will mourn for him as one mourns for an only child, and grieve bitterly for him as one grieves for a firstborn son (Zechariah 12:10). This is the moment of Israel’s conversion. The Spirit of the Lord will move in the hearts of al Israel. It will be a Spirit of supplication to cause them to call on the name of the Lord. The Spirit of grace will give them faith to receive the salvation that comes through grace. At the same time, the Holy Spirit will open the eyes of their hearts, so that they can see Yeshua (Jesus). They will stop looking for a "warlike Messiah" and realise that Yeshua who died on the cross and "who was pieced" by a spear, really is their Messiah. This realisation will produce a great flood of repentance. When they realise that Yeshua reigns at the right hand of God and that they have been saved by the prayers in His name, the whole land will be filled with tears. As they come to realise what Yeshua (Jesus) has done, they will all weep with sadness and joy (Zechariah 12:11 - 14). Without the Jews the church cannot be complete! Without natural Israel, spiritual Israel (Church) is lacking an important part. When natural Israel is joined with spiritual Israel, there will be a true fulfilment of God's plans. This completeness of "Oneness" One New Man (Ephesians 2: 14 - 16) will bring great blessing to the world. Once the fullness of the Jew’s come in, God’s team will be complete. Satan will have lost his power to punish Israel, so a time of great victory for the church will follow. Daniel 7:18, 22, 27 describes a period when the saints possess the Kingdom. This is a picture of people of God (including Israel) being given authority to establish his Kingdom. The Kingdom advances rapidly by the proclamation of the word of God in the power of the Holy Spirit. Israel’s problem is still hardness of heart (Romans 10). They are spiritually blind to the truth. The only solution to spiritual blindness is the work of the Holy Spirit (Ezekiel 36: 24 – 27). The Burning Bush; "...And the bush was on fire and the bush did not burn up." Exodus 3:2 God chose the nation of Israel to be a channel of his revelation to mankind. Through Israel he gave the world two tremendous gifts - the Holy Scriptures of the Old and New Covenant and the Messiah. All mankind is in Israel's debt for these two immense gifts. In God's sovereign purpose, Israel was to be a blessing and a light to all nations, a channel of his truth, grace and salvation to all humanity. Satan's purpose has always been to thwart God's plan. He has done his best throughout history to destroy the Jewish people and hinder the light of the Good News about Yeshua the Messiah from penetrating into their hearts. To this end he has used many devices to blind their eyes and to build up prejudice and resentment in the very core of Israel against the person of the Messiah and against those who believe in Him. One of the main keys to understanding the Bible is that the nation of Israel is a sample of humanity in God's laboratory ~ the world. Enrolled in God’s school we study His textbook, the Bible, and realise that the subject which has most space allotted it is the history of Israel. Israel is the object lesson from which we all learn, the sample that represents us all. As we look at the history of God's dealings and relationship with Israel ~~~ we learn all we can know of God Himself. His character and attributes are revealed to us in this context. We see His sovereignty in election, His Holiness, His just demands of men, His patience, His love and His mercy. All of God's manifold greatness is revealed to us as we study the history of his relationship with the people of Israel. As we look at Israel's response to God we learn everything about ourselves ~~~ This is the mirror that we must look into in order to know ourselves as we really are before God. We see our human sinfulness, depravity, weakness and unfaithfulness. We see how after experiencing God's call and forgiveness we still fail him again and again. What is true of Israel in the Bible is also true of the visible church today ~~~ we have turned after foreign gods, we have despised His word, we have followed traditions of men rather than bow to His Word. There is a remnant in Israel a minority that believe in Yeshua (Jesus) as their Messiah. They are the first fruits and the guarantee that one day the whole nation will be like them. This minority may have been small at different periods of history, but it has always existed and always will! It is not necessarily small - and it is definitely growing today. Whilst by definition a remnant, a minority, it can be a large and significant one. As a nation, Israel is not rejected by God. It is under chastisement for not accepting Messiah when He first came, for God chastises those He loves. Israel is also wonderfully preserved in all its troubles, unlike so many ancient nations who have been obliterated or totally absorbed by their conquerors. Israel is also being prepared for the great final acts of human history which will take place when the "fullness of the Gentiles," the "times of the Gentiles" is fulfilled. God has a specific timetable to which He is working. Paul teaches clearly that Israel's blindness as a nation is partial and temporal (Romans 9 -11). Partial; because it is not all but only some who have been hardened and temporal; because this blindness in part is not forever, it has a specific time limit in God's plan. When the fullness of the Gentiles is come in, when the times of the Gentiles is at an end, then God intervenes in a new way in history and Israel as a nation with its leaders will be restored through faith in the Messiah Yeshua. This will result in tremendous blessings to the whole world and to all nations. Whilst scripture warns us against trying to calculate the time and the hour, it encourages us to recognise the signs of the times. We can see things shaping up to the climax, and we know that the return of our Messiah is near. The bush is still on fire and the bush will not be consumed by the fire! Israel is here to stay and no power can move it away until all God's purposes for this earth are fulfilled and the time comes for "a new heaven and a new earth wherein justice dwells." As believers we should align ourselves with God's purposes and intercede for their fulfilment. Israel has a definite part in His plans. There are two Israel’s in the Scriptures. One is a physical Israel, with a physical people, a physical Jerusalem, and physical borders that are plainly defined in the Bible. The question must be asked "who is the ‘ye’ of this verse?" It’s plural, so it is not one person; it is a body of people. "My people" is also plural. There are, in fact two groups of people in this verse. One group is being comforted and the other is the comforter. Common sense tells us that you cannot be the one that is being comforted and also be the comforter. The people being comforted in this verse are "My people," which is physical Israel. The one doing the comforting (instructed by God) is spiritual Israel, the church. These two Israel’s will merge together not one day sooner than the moment when the Messiah literally comes to the physical city of Jerusalem. If God was indeed finished with the Jews and Israel, if they were in truth cast off relic of the past without divine purpose of destiny why did He allow that nation to be miraculously reborn? If replaced, why reborn? Whoever wants to come to know the heart of God will do so by acquainting himself with His people Israel ! Let’s consider God’s leadings for His people. From an earthly father’s dealings with His nation Israel, we are given a glimpse of His deepest relationship to His people. We can learn from God’s leadings for Israel His attitude towards the sons of men in general and what purposes are in his heart when He leads us one way or the other, along paths of judgment or paths of grace. For we read of both in the history of Israel. Indeed Israel, as the beloved nation of God, is set before us as a mirror reflecting the heart of God, showing us who God is. We see that He is the Father of love. For, only the loving heart of God can pour out abundant grace over a people and prepare glory for them, such as we see prepared for the people of Israel. God speaks of Israel as being precious to Him. Because He loves her, He declares that He will give nations as a ransom for her, and peoples in exchange for her life (Isaiah 43:3). God’s heart is full of joy. Should we not rejoice with Him? Should we not look upon Israel, God’s special love, as God looks upon her now? The longing of two thousand years and the pain of being so far away from Jerusalem has come to an end. The land of Abraham, Isaac and Jacob is again open for the Jewish people in Israel. She has re-entered the Promised Land. Should not this great moment cause a stir in the very hearts of Christians, as it must do in the heavenly places where Israel’s return is eagerly watched? The Old Testament prophets must be rejoicing at this moment for which they have waited thousands of years. The moment when their prophecies concerning Israel’s restoration are being fulfilled! Certainly we Christians must not remain indifferent to this event. Do we take this to heart… and do we see in all this the Hand of God… or do we try to give a natural explanation for all that is taking place in Israel today? God repeatedly says that He inspires prophecies of future events in order that when they come to pass, nations will have to acknowledge that the fulfilment comes from Him alone. What a privilege to love Israel, to express that love in action, and to offer her sacrificial gifts! Let us avail ourselves wholeheartedly of this privilege and, as co-workers with God serve Him by helping the people of Israel. BUT, what tremendous opportunities we can miss if we stand in ignorance to the understanding of this mighty working of God. So now as Israel fights for her very existence may we share in her burdens and cares, for this is the Lord’s commandment to us in view of His peoples homecoming (Isaiah 62:10). A highly significant moment has come in divine history. Once again God has ushered in the age of miracles and mighty deeds among His people Israel. Woe to him, who instead of rejoicing in the graciousness of God, now causes hurt to the apple of God’s eye. Blessed are the nation and the man that do good to Israel, such acts bring joy to the heart of God.